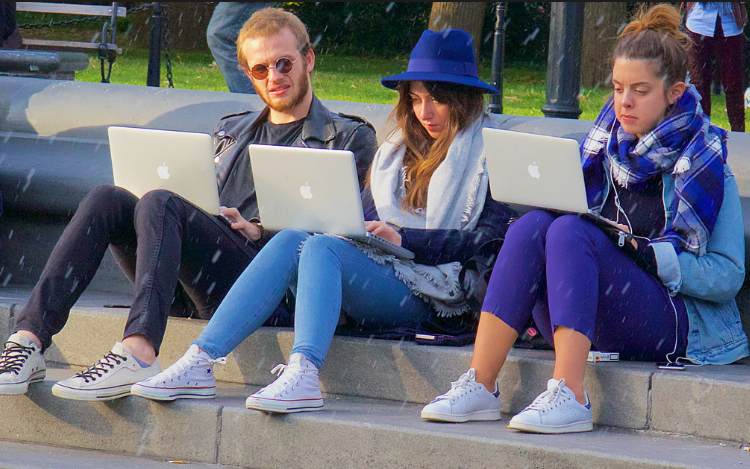 People are fond of watching online video on their mobile phones these days; however, the small screens (including the tablet screens) cannot match with the visual satisfaction brought by larger computer or TV screens. Watching local video on your Mac is still the easiest way to saving some storage and data traffic while having a proper watching experience. Speaking of video, you won’t always get the video in the right format that can be played by your Mac or devices – that’s where a video converter software jumps in. Here we’ve reviewed the top 10 video converter for Mac from the market (both free and paid included) so that you can pick the one that suits you most. 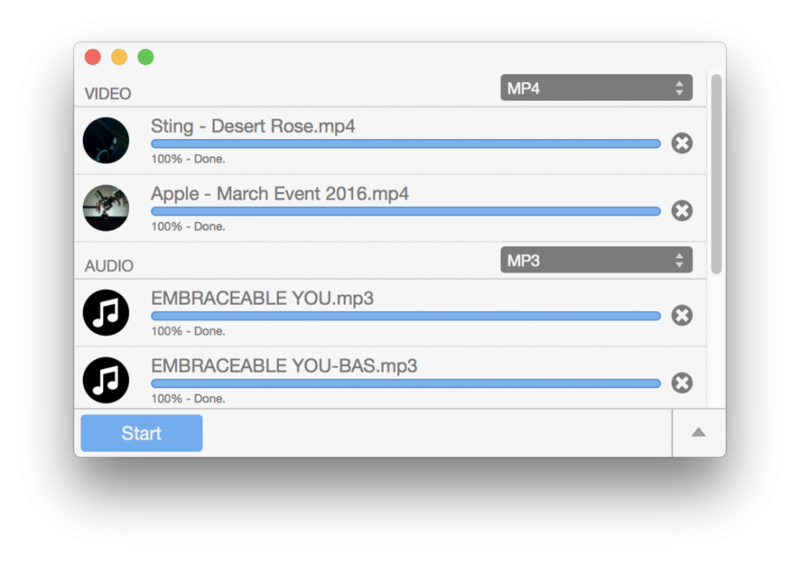 All2MP4 for Mac is a free video converter for Mac which has a long list of supported formats: it allows you to convert over 350+ video formats, including MP4, AVI, MOV, WMV, FLV, MKV as well as HD, FHD, 4K UHD, 8K UHD video formats. There are plenty of profiles to choose so that you can get the most appropriate quality for your devices, or you can set the parameters manually. It can extract audio from video. There are also editing tools to cut video and cut & extract audio from video. You can add overlay text or images. The audio filters, effects and volume changing can be convenient when you need to make the video sound better. It is effortless to use with a neat UI and you can preview the loaded video. Like stated in its name, Any Video Converter can literally convert almost all types of video files out there. It also supports output for all kinds of iOS and Android devices. Although it may not convert as fast as other best Mac video converters, it provides smooth operation and quality results. It is freeware but the Pro version offers DVD & CD conversion, DVD burning (with menus), online video & music downloading and various video editing features. Miro is one of the most straightforward Mac video converter apps to use due to its interface. It is a very basic video converter that does what it should and nothing more. It handles various video formats well and has a long list of supported devices like Apple iPhone/iPad/TV and different Android phones. It is an easy start for novices but it does not provide batch conversion, nor the output profiles (presets). 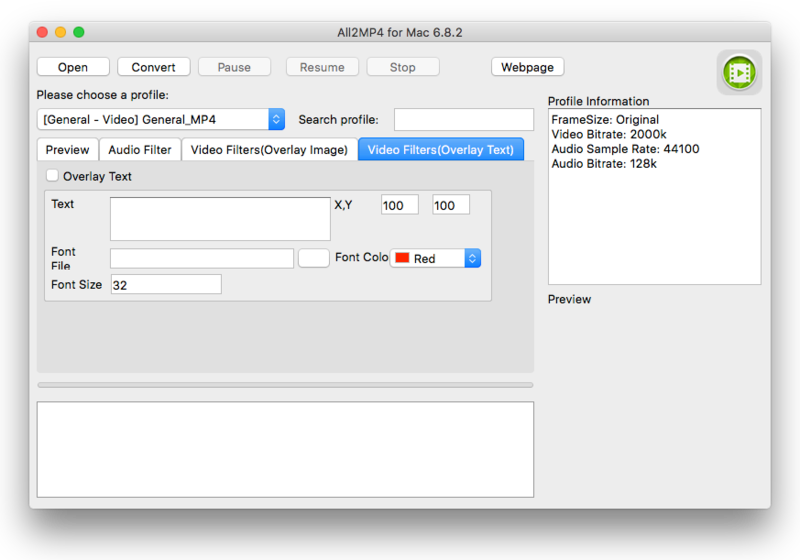 Permute is one of the fastest video converters for Mac, which has a clean interface. You just drag and drop the video files on the UI and follow its lead to do the rest, which is easy enough for a beginner to understand. It supports many video formats and provides detailed settings and profiles of them. It can even convert image & audio files between several formats. 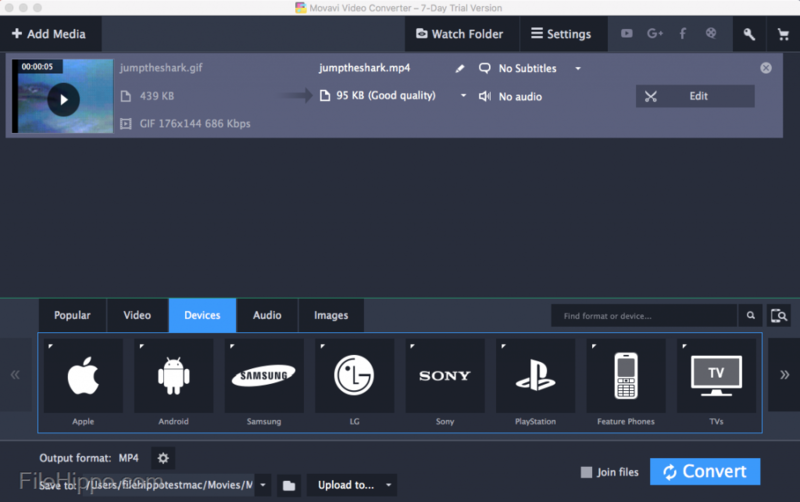 Movavi Video Converter is a user-friendly Mac video converter app that is able to convert a vast number of video formats (MP4, AVI, WMV, MKV, FLV, AVCHD, etc.). If you are looking for a video converter that also does video editing work, Movavi is the right choice because it provides a premium version which includes all sorts of video editing tools (trimming, rotation, flipping, cropping, quality enhancement, title adding, etc.). The premium version also provides automatic conversion as well as file merging. Prism Video Converter is able to convert all major video formats with custom quality (compression rates, frame rate, resolution, etc.). You can add video directly from DVD to convert them to usable video formats for your devices. It can batch convert video as well as audio files. It does an excellent job in compressing video to smaller sizes. You can even preview the video during the conversion process. 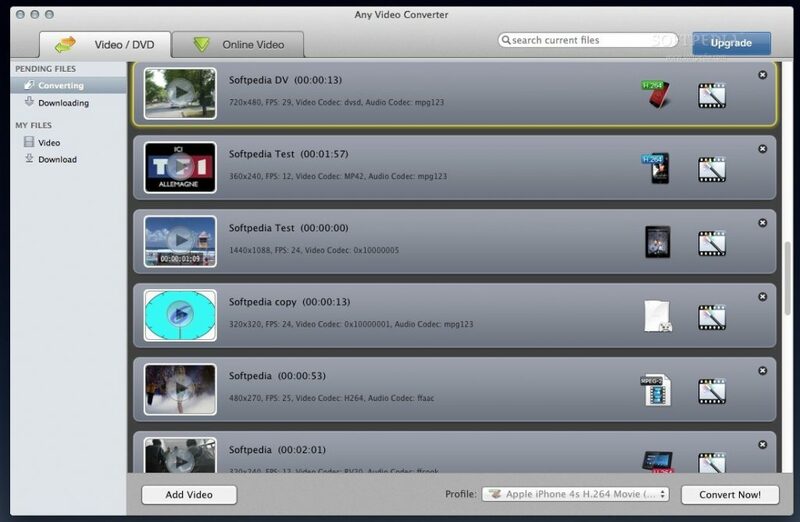 MacX Video Converter Pro sets an excellent example for the all-in-one Mac video converter apps. In addition to video conversion, it can download online video, create slideshow from your photos, capture screen as video and of course, edit video. It allows you to convert over 150 video formats. However, it’s UI is not as easy as its competitors’, which may frighten the beginners. If you need a feature-rich product that gets many multimedia things done, MacX Video Converter Pro is the one; if you merely want to convert some video files, there are better choices in our list. Xilisoft HD Video Converter for Mac is one of the best Mac video converter software. Except for the regular video formats, it supports the video conversion from standard video to HD video formats (HD AVI/HD MPEG4/HD H.264/HD TS/HD QuickTime). It has the ability to snap pictures from video to save as JPEG and some other popular formats. It takes very much CPU resources to run this video converter but it does a good job when you need a smaller output file. If you have an old Mac, it is suggested that you close other applications when using Xilisoft converter, or else you may experience an apparent slowdown. ImTOO Video Converter can be used to convert video files as well as audio & animated image files. It supports 150+ video formats and you can convert with the quality presets for various output standards. There are also video editing features like clipping, cropping, merging, visual effects, watermark, etc. It enables you to capture images and edit audio stream. It seems perfect but actually, it can only convert up to 800*600 video resolution, so you need to think about it. If you are into converting, merging, extracting, recording and burning video, Total Video Converter can meet your demands. It can convert various video formats between each other and burn them to DVD/Blu-Ray/AVCHD. It handles almost every aspect in your video processing. The video conversion speed is noticeably faster than most of the others but maybe that’s why you can feel a noticeable quality dropdown: resulting video is a bit blurred and pixelated. All2MP4 for Mac is the best choice for free Mac video converter because it can do the video conversion job like most other paid tools. Second thoughts? Consider this: there is no other freeware that includes so many features while asking nothing of you. No one exceeds All2MP4 for Mac’s abilities to provide quality results. MacX Video Converter Pro provides the best value when it comes to purchasing a multi-functional product. It can fulfill most needs of converting and editing video while providing many other useful multimedia tools. The price is a lot lower than most of its competitors.